Yay, I finally found a pie I can make successfully. What? 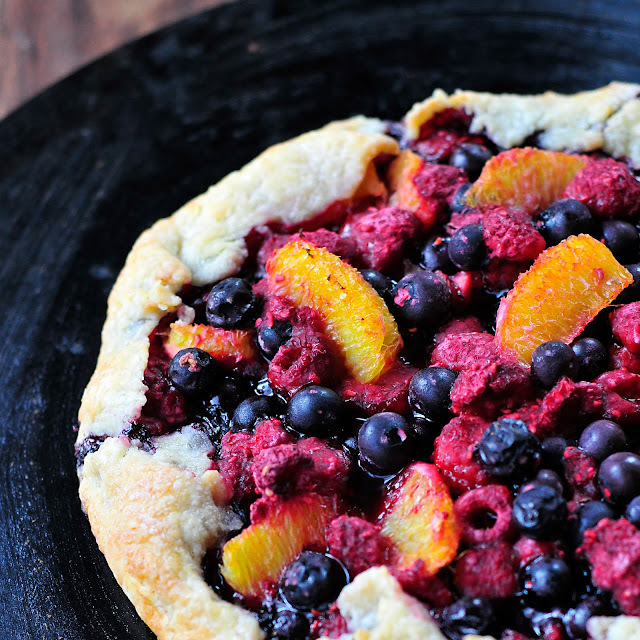 This isn't a pie--but, the crust is flaky and it has a fruit filling. For me, this is pie at our house. Confession time--I am the worst pie maker ever! Have you ever noticed that I don't post pies during "pie season"? It's not my thing. It's my sister-n-law Amy's thing. She makes the best pies. I make this instead. 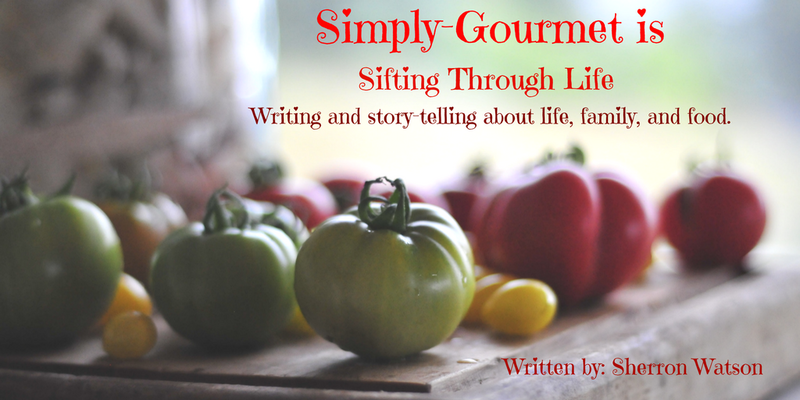 Remember my blog is Simply Gourmet and I like to keep things simple. 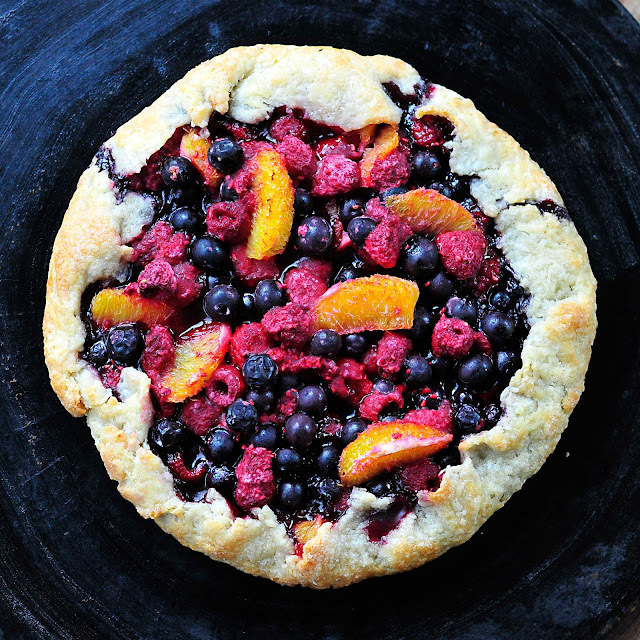 This is simple because you roll it out flat, toss in your fruit, crimp the edges, and bake. 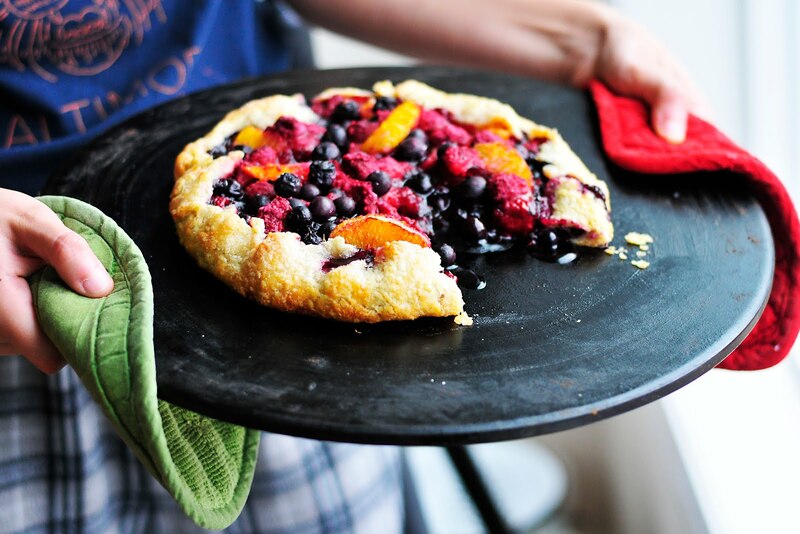 TA-DA--you have a Free Form Rustic Tart, a Galette or, in my case, a pseudo pie. More than likely you will be covering it in whipped cream or ice cream anyways. 2. Round up your fruit and some sugar. I recommend trying your fruit first. If it is sweet then only add a little bit of sugar...BUT...and this is huge, if your fruit is sour and tart and that is NOT what you are going for, THEN, just add the damn sugar. It's a tart-pie-thingy. A little sugar won't hurt. I "PUCKERED" my family once with a super tart Tart and they were not happy. Taste your fruit! 3. 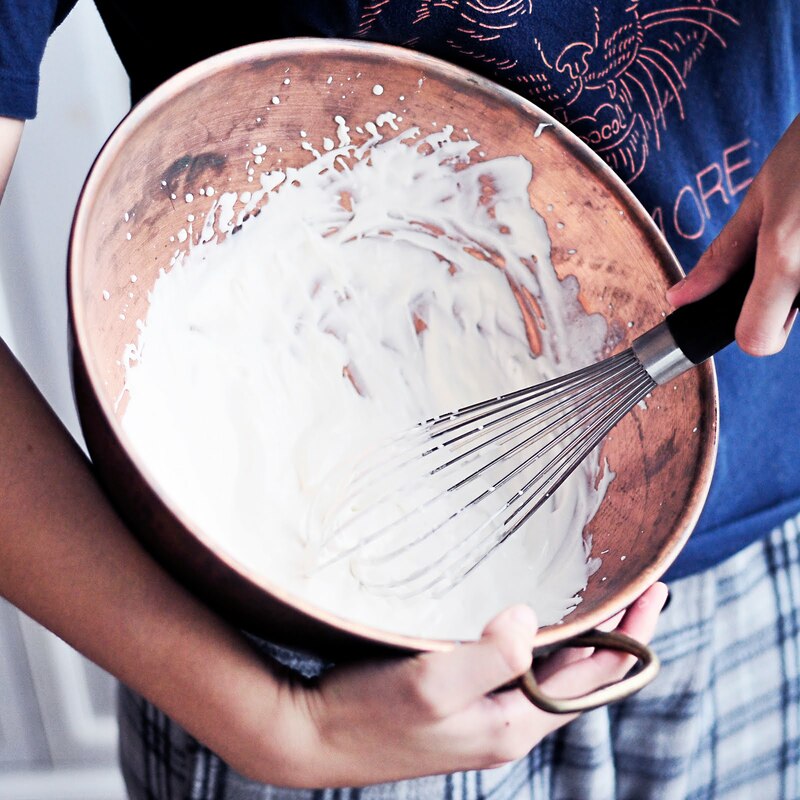 Buy or make a whipped topping or ice cream. It really does add to the experience as it melts over the fruit and down the sides of the tart to pool under each slice of deliciousness. Trust me. Then make your daughter pose for a bunch of pictures on the day that she is waiting to here back about a job, her RX at the pharmacy is delayed and she has a cold from hell---promise her this pie-tart-thingy--and all is good. The holidays are busy and can be stressful. This dessert is simple. It looks gorgeous and whips together in no time. In fact, you can make it the day before and reheat it up in the oven. How about that? Preheat your oven to 400, roll out your pie crust on parchment paper, transfer to a cookie sheet or round stone, add your fruit combined with sugar to taste (+plus 1 tablespoon corn starch), fold up the edges (see pictures) and bake. My oven took 35-40 minutes. I would check after 30 and then add more time as needed. NOTE: I used fresh fruit: raspberries, blueberries and slices of orange. I have not made this with frozen fruit before.